This year, a total of 6 teams played 10 games against each other. It has been a long tournament and now the final stage has arrived. All is set and let’s see who turns out to be the winner among the two. It is sure shot going to be an exciting game to watch out for. Let’s read more. The two best teams in this year’s CPL tournament has reached their final round where the winner will be decided. The match is all set to be played at the Warner Park Stadium in Basseterre on Sunday night. Both the already have played a game in the playoff round where Warriors outplayed Tallawahs with ease. Based on their incredible performances, Warriors got the direct entry into the final of the CPL season 4. On the other hand, Tallawahs have sealed their spot in the final round with their hard work. 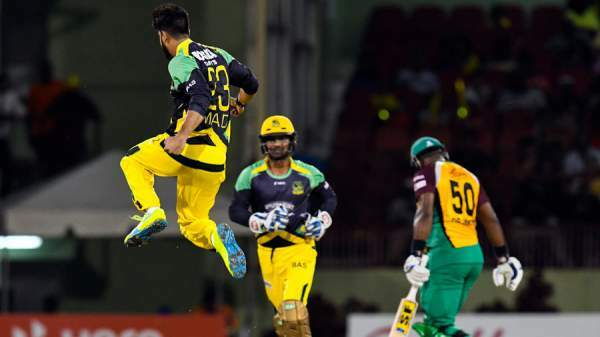 In their last game, they outclassed the defending champions Trinbago Knight Riders in the 3rd playoff game. All the credit goes to the stunning ton scored by Andre Russell. However, it is not always possible to win the game on the basis of just one player. Most of the times, the victory in any match requires the team effort. So, Tallawahs will have to show their brilliant all round performance to win CPL 2016 final today. The team led by Rayad Emrit has shown its amazing team effort and performance and based on it, the team has defeated all the others teams in the CPL 2016. As of now, they are at the top of the poinst table. The team has players like Sohail Tanvir, the current highest wicked taker who took 20 wickets in 11 matches so far in the tournament. Adam Zampa has performed very well throughout the season. Chris Lynn who has scored 447 runs with an average of 50. Thus, it appears that Chris Gayle has got a lot of worries to deal with. He will be required to play the game in his best form. Guyana Amazon Warriors: Dwayne Smith, Nic Maddinson, Chris Lynn, Jason Mohammad, Anthony Bramble (wk), Chris Bramble, Sohail Tanvir, Rayad Emrit (C), Veerasammy Permaul, Steven Jacobs, Adam Zampa. Jamaica Tallawahs: Chris Gayle (C), Chadwick Walton, Kumar Sangakkara (wk), Rovman Powell, Shakib Al Hasan, Andre Russell, Imad Wasim, Jonathan Foo, Oshane Thomas, Kesrick Williams, Garey Mathurin. The FINAL of CPL 2016 between Guyana Amazon Warriors and Jamaica Tallawahs is scheduled to start from 7 p.m. local time (4:30 a.m. IST, 12:00 a.m. BST) start. UK: BT Sport. Live Streaming: BT Sport Live Streaming. Australia: Fox Sports. Live Streaming: Foxtel Play.